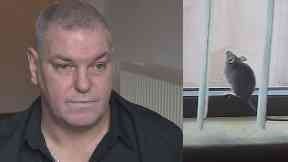 Marcus O'Brien, 48, said he has been plagued since moving into his Govanhill flat ten years ago. 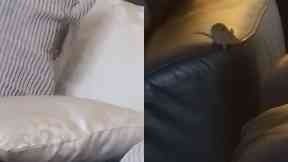 A man has claimed that a mice infestation is forcing him to flee his Glasgow home. Marcus O'Brien, 48, said he has been plagued by the rodents since moving into his Govanhill flat ten years ago, adding that the situation has now become unbearable and is affecting his health. He says he can no longer sleep there and tries to spend as much time staying with friends and family as possible. He told STV News: "This is a daily and nightly occurrence. "They're under my sofa, they're running across window sills, up skirtings behind the door, they're running across my sofas, they're underneath my sofas, they're running across my bed at night. "The problem is rife. They're leaping towards me off my sofa." Mr O'Brien said it's now got to the point where he doesn't know where to sit. He added: "Going to bed at night - you don't go to bed because the last time when I was in bed, they were running across my bed and behind my pillow. "I'm stressed out every day because of this. I can't sleep, I can't eat properly because you're having to clean everything every day. "It's stressful, and I'm a very nervous, stressful person anyway so this makes it ten-times worse." Mr O'Brien claimed he now stays with family and friends as much as he can. He said: "This is having an impact on my health, first of all. I'm a very unwell person, so with this it just adds more stress." Mr O'Brien believes the mice could be coming from a shop below his Allison Street property, which has lain empty for eight years. 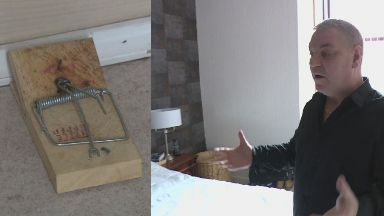 He has raised the problem numerous times with environmental health and Govanhill Housing Association - however more mice return after the traps are removed. He said: "I don't want to live here anymore. Residents have moved out because of this problem. I want to move out, but I've nowhere to go. 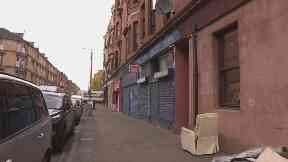 "I want people to know the living conditions we're living in in Govanhill. They are big beautiful flats, but we've got company." Govanhill Housing Association is aware of Mr O'Brien's issue and has committed additional resources to "eradicate" the mice. 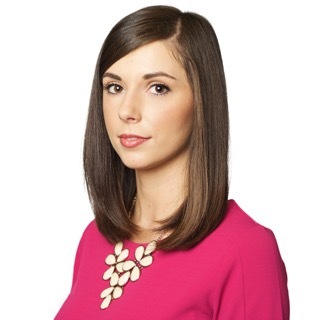 Annie Macfarlane, the association's chair and Allison Street resident, said: "We are aware that mice are an issue in some of our buildings, as is the case across the city. "Although pest control is the responsibility of Glasgow City Council, at the association we commit additional resources to dealing with this problem. "This includes sending out pest control contractors, as well as dealing with any structural issues within our buildings, or internally within the flats themselves. "We were contacted by the tenant in question earlier this week and our contractor was notified to begin pest control measures to help eradicate the problem. "We would encourage tenants who have concerns about mice in their homes to get in touch with us, and notify Glasgow City Council as soon as possible." A Glasgow City Council spokesman added: "A number of resources, including the council's pest control team, have been allocated to this area to tackle such issues. "This team remain available to any city residents who is suffering from such a problem, and we would urge anyone with such an infestation to contact us." Residents can report a pest control problem via glasgow.gov.uk/index.aspx?articleid=17609.